1. Have a 15 years moratorium on spending anything from the fund from the start of lunch, to discourage current officials in government from messing with it. 2. Let the fund be managed by Professionals in the investment business. 3. Have it earmarked solely for the "future:"
b. projects that mitigate any effects that mining or similar extractive activities have on the environment. 4. Setting a spending cap of only 75 percent at most of the net earnings from the investments, the balance of 25 percent to be further added to the principal. 5. A competitive bidding for projects to be funded, both private sector and government agencies can participate. 6. Have a bidding committee composed mostly of volunteers from institutions like churches (INC, Catholic, Protestants, Born Again, Islamic institutions) and perhaps experts from the academe. 8. East Timor, which became a sate only in 2005(?) has already a huge Sovereign Wealth Fund in billions of dollars from their Petroleum industry. Even Singapore which has no extractive industry has huge Sovereign Wealth Fund. 9. The 15 years moratorium can be extended to 20 or 25 years. 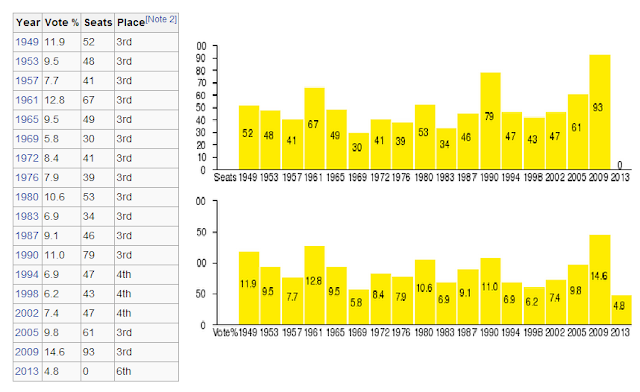 Long term investing generates more consistent results if you look at historical returns of most indexes. This practically takes the current generation away from the funds. It is for the future generation. I can support that proposal, thanks Jules. The current generation can be supported by existing revenues, public and private, and endless borrowings by the government. It is the future generation of Filipinos who have been compromised by the past and present political administrations via high and rising public debt stock and rising interest payment. If improperly managed further, it can generate a huge fiscal crisis someday. But the intent of the law must be respected, that only energy-related projects should be funded from it. Then the fund should be used to develop more energy sources. When electricity supply is stable and affordable, faster development can happen. Energy is development. Meanwhile, here are some facts from Maritess Vitug's article in Rappler last September 22, 2013. * P130 billion (as of August) kept in a trust fund with the national treasury, not reflected at all in the annual national budget. 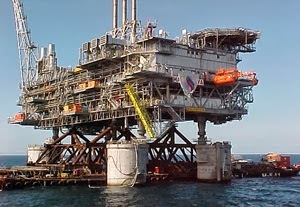 * from the royalties of the seemingly bottomless Malampaya natural gas reservoir off the shores of Palawan which provides about 50 percent of Luzon’s power needs. * Project began in 2001, it was during President Gloria Arroyo watch that the fortunes from Malampaya started to flow into the government coffers. She spent a total of P23.6 billion, almost all of which went to non-energy projects. * Arroyo authorized the release of P19.3 billion, mostly in 2009, apparently for the rehabilitation of areas damaged by 2 typhoons. This coincided with a pre-election year. * Agriculture department (Secretary Arthur Yap) got a lot of the bounty: P4 billion in 2008 “to augment the Agricultural Guarantee Fund Pool and the rice self-sufficiency programs and other commodity programs” and P1.8 billion in 2009 to help farmers and fishermen devastated by the typhoons. * Public works department (Acting Secretary Victor Domingo who replaced Secretary Hermogenes Ebdane) that received the heftiest share, P7 billion. * Only P303 million went to supposedly fund the energy projects of the science and technology department, transport and communications department, defense department, and the energy department. * Arroyo released almost P4 billion to Palawan as assistance from the national government. * For his part, President Aquino put in all of his Malampaya Fund expenses to energy-related projects, about P15 billion from 2011-2012. * Biggest chunk went to the National Power Corp (P6 billion), followed by the DND (P5.6 billion) “to upgrade its capability” to secure the natural-gas-to-power project. * The rest went to the National Electrification Administration (P1.9 billion), energy department (P300 million), and interior department (P150 million for the “Pantawid Pasada”). The on-going pork barrel and government corruption scandal is radicalizing more and more middle class and average taxpayers. Some individuals are getting bolder and explicitly announcing that they will stop paying taxes. Like this story by Sandy Allan Beltran who owns a book shop. She posted this nearly a month ago and look, her story has been shared more than 400x, wow. See her story below. The other posters I just added, not part of her original fb posting. My shop The READING ROOM has been religiously paying taxes since we opened it in 2007. Every month I pay my accountant a retainer fee, and he religiously looks over my books, and files my papers, and at the end of the tax season, or during renewal of licenses, he religiously, zealously even, to the detriment of my wallet & my husband's burdened bank account, pays whatever he sees is my due. I want to stop paying taxes, because the system has proven itself to be a corrupt one, and I find my moneys to go not to where it will be used for the good of my country or countrymen. But. 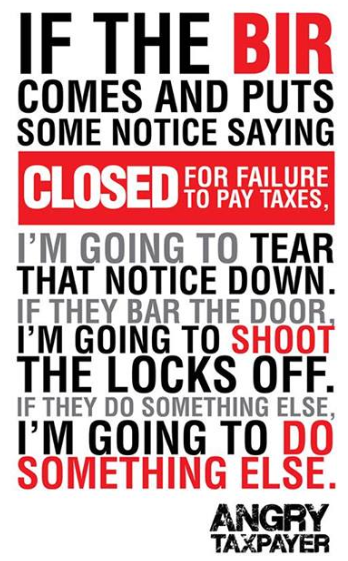 If I do so, they will close up my shop. Do I want this? Of course not. But. It hurts to think that people like the Napoles' and the Revillas and the Marcoses and the Domogans and the Enriles and the Estradas and who knows who else live their undeserved luxurious lifestyles from the hard-earned moneys that I and the rest of my blindly religiously-tax-paying countrymen work our asses off. It makes me so angry to think that corruption is at the core of a government that has consistently failed at taking care of its peoples. But. Have faith, they say - somewhere there are those who will take your taxes and put it in the right places. But. It is no longer fair. It would also not be fair to the people I have hired to lose their jobs once I close up shop. They are important to me, as much friends, companions, what I like to call my shop family. It is also unfair to close the shop because there are some customers who have come to love it, come to depend upon it for the "good stuff", items that only I can find and come up with. One client told me "your shop is my splurge haven", and that I can't forget. I don't see that it's being used right. The whole situation has left me speechless, wordless. Angry. Uncertain. Afraid of the future. Angry because after all this time of doing the basic right thing, it has left me afraid. The government failed to take care of me, one who can, and should demand that things turn around. So BIR chief whoeveryouare = think again. I'm not going to pay my taxes in the next round. I'm letting go of my accountant. I'm not renewing my shop's license. But my shop will still be open. I will still serve customers. I will still sell what there is to sell, and restock when my shelves become bare. But I refuse to pay taxes UNTIL THIS COUNTRY'S GOVERNMENT STARTS DOING THE RIGHT THING. I'm so afraid - but I'm more afraid that if I won't, I'll get sick at heart knowing I'm not doing something about it. 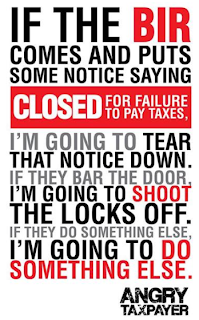 By the way - if anyone from the BIR comes to my shop and puts some form of notice on it that says CLOSED FOR FAILURE TO PAY TAXES, I'm going to tear that notice down and open up my shop. If they bar my door, I'm going to shoot the locks off. If they do something else, I'm going to do something else. It's already wrong that they stole from me. I refuse that they continue to do so, without any assurance that anyone in the government will make it right. I will do this, until I'm told, I see, I hear, that something good, something REAL, something changes, and it is proven to me. Goodness gracious, I'm shaking in my boots. I'm reposting this because the link is now broken. The original link was deleted - it now says "server error". the article originally reported BIR CHIEF Kim Henares saying the normal taxpaying citizen will still continue to do so because (am paraphrasing) "of the current administration's stance to improve things." I support this citizen expression of anger and dissatisfaction against corruption and government failure. But more than individual expression of disobedience, I think the tax policy should be amended and move to a low, flat tax, with timetable towards the abolition of income tax. Government has lots of consumption-based taxes, transaction taxes, mandatory and regulatory fees to survive. 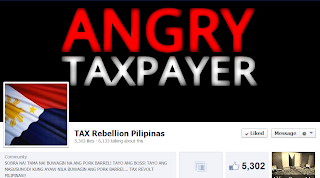 Meanwhile, here's the logo of the Tax Revolt fb group. 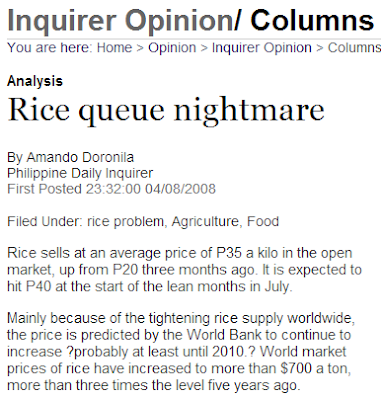 Recently, there was a big issue regarding the big jump in local rice prices, between P2 to P5 per kilo jump in a matter of days and weeks. I think this issue would surface every 3-5 years on average. In 2008, it was a big issue too, like this article in the Inquirer on April 08, 2008. Then I found this in my old emails. I composed this in and sang this with my PDE (Program in Development Economics, UPSE) batchmates during the PDE 2008 Reunion, UPSE, Diliman, QC, May 7, 2008. * This is my article yesterday in Mining Week. 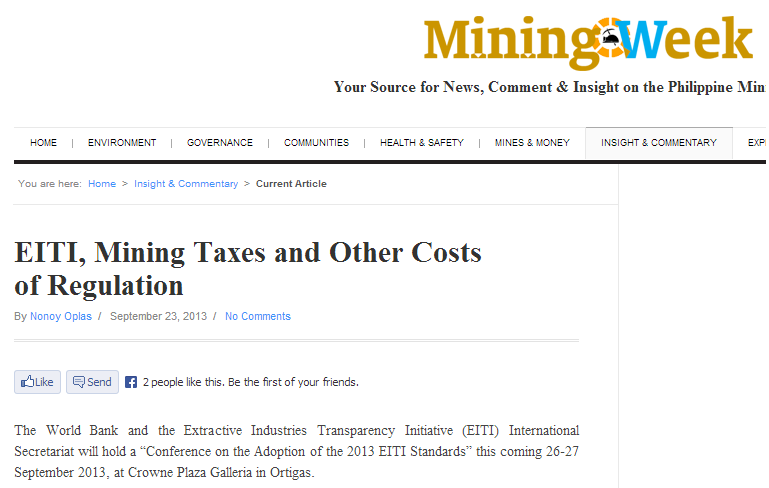 The World Bank and the Extractive Industries Transparency Initiative (EITI) International Secretariat will hold a “Conference on the Adoption of the 2013 EITI Standards” this coming 26-27 September 2013, at Crowne Plaza Galleria in Ortigas. EITI is a non-government, non-UN, non-foreign aid international system that requires both the government and the private enterprises in the extractive industry (petroleum, gas, mining) to report among others, information like how much government has collected and how much private enterprises have paid to the government, both local and national. Exploration and operating contracts will also be reported and published online. The goal is to make both the regulator (government) and regulated (private enterprises) to become transparent to each other and be more accountable to the rest of society. The World Bank is interested in this initiative mainly on the taxation aspect. The WB, along with the ADB, UN and other foreign aid, have lots of “inclusive growth” programs and projects in many developing countries, to be funded by “inclusive pockets” of course. In a recent Philippine Development Report 2013 for instance, the WB has proposed three new taxation measures. One is creating a land surtax, two is raising petroleum tax, and three is further raising the sin tax. See Why the WB report on PH jobs is alarmist, if not simplistic. One glaring characteristic of Philippine taxation of the mining industry is the double standard applied on large scale metallic mining (LSMM) vs. small scale gold mining (SSGM). Probably almost 100 percent of all mining tax collections by the Bureau of Internal Revenue (BIR) and fees by the Bureau of Mines and Geosciences (BMG) come from LSMM + large non-metallic mining. 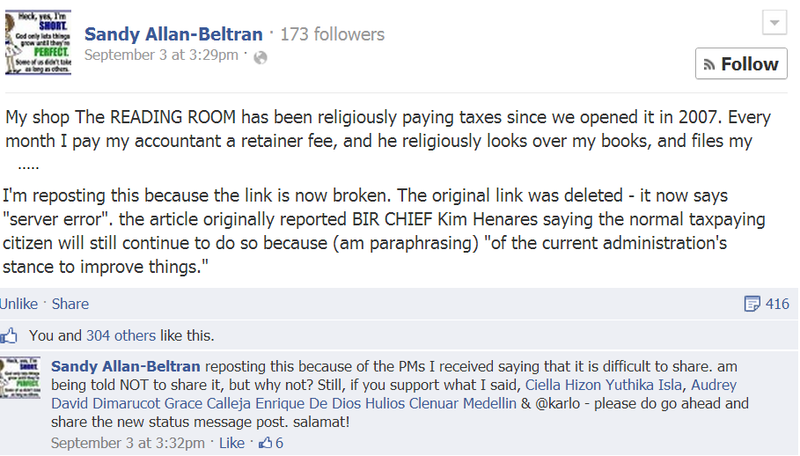 SSGM pay only local taxes and fees to LGUs. Output by SSGM is not small. Gross value production by LSMM and SSGM for 2008 were P29.7 B and P33.9 B respectively. In 2010, P69.1 B and P42.9 B respectively; and in 2011, P88.0 B and P34.1 B, respectively. In the literatures by EITI International and EITI Philippines that I saw, there is very little mention about making SSGM be as transparent and accountable as LSMM. There is the implicit and wrong equation that “mining = LSMM”. Actual costs of regulation to the private enterprises are composed of (a) cost of compliance (getting external accounting, auditing and law firms), (b) cost of “compromises” with regulators, including dealing with extortion and special favors/requests, and (c) actual taxes and fees paid. What is often noted is (c) only, this will be reported under the EITI system. The public do not know the costs of (a) and (b). Hence, actual costs to private enterprises are larger than what is reported. Consider also the cost to a firm that has spent substantial amount complying with (a) national regulations (SEC, BIR and BOC, MGB-DENR, DOLE, etc.) plus (b) local regulations plus (c) social development management program (SDMP) while doing exploration and research activities, then limited operations and extraction. 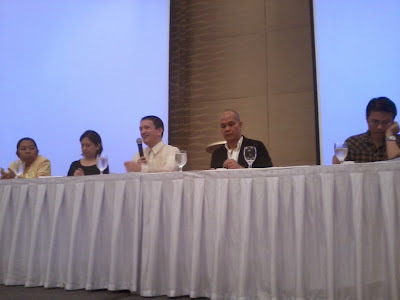 Then rules are suddenly changed in the middle either by the national government (like EO 79) or by the local government (like the S. Cotabato ruling on Tampakan project), and some of those players will consider pulling out or reducing the project scope, reducing also employment, SDMP, and so on. 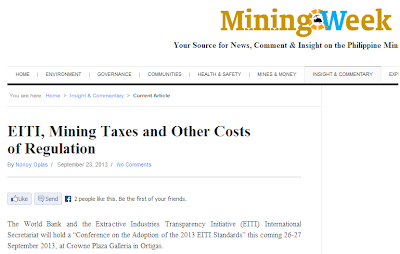 Such costs are not likely to be captured by the EITI system as it is focused on existing operating firms. Another cost is when a big mining firm that pays various taxes and fees is further being extorted by rebels or other armed bandits. Or worse, its expensive machineries and facilities were destroyed and burned by those groups and the government armed forces have done little or nothing to prevent such large scale destruction of properties. Let the EITI system become a drive to institutionalize real and meaningful transparency and accountability in the extractive sector. The system should not be used as a new harassment scheme against LSMM by the vocal and militant environmental NGOs and media that will press for more public disclosure of their data, while the same vocal and militant NGOs and media will remain silent on the non-transparency and non-accountability of SSGM. Or at least in pressuring municipal and provincial governments to apply existing environmental regulations and revenue charges to SSGM. 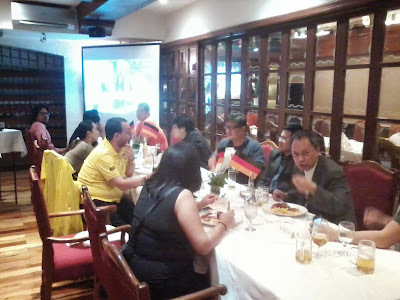 Last night, I joined some friends and staff of the Friedrich Naumann Foundation for Freedom (FNF) in a WahlParty, watching the German elections live, at the German Club in Makati. 1. The world has not gone under. 2. Liberal values have lost none of their importance. 3. A political party could use Germany. After self-proclaimed "radical Liberals" and apparent liberal opportunists have systematically destroyed the Liberal core of the FDP, the debate on values in the FDP must run new, so that she can once again assume the role of a Liberal Party. Yes, and then also the FDP should recognize that systematic strategy development can actually help. results from elections in germany are coming in, and it appears to be historic in some key aspects... the conservatives gained more votes and will most certainly return her to the position of chancellor well on the way to being the longest serving woman leader of a major european country... AND, perhaps for the first time since after world war 2, the liberals who have thus far served in government longest as junior partner alternating with either the social democrats or conservatives, may (should the trend be validated) be finding themselves totally out of parliament... by far their worst result ever with them losing 2/3rds of their support compared from the last elections... time for some soul-searching, i hope they are able to bounce back... in the meantime, the conservatives will have a coalition partnership either with the social democrats or the greens or both these parties... the liberal voice will be missed in parliament this governing cycle...i applaud the democratic process... the people have spoken! A disaster for the FDP yesterday, first time since WW2 and the party founding that they are out of the National Parliament, not a single seat, for failing to get the minimum 5 percent of the votes, they got only 4.8 percent. Result of the exit poll is almost identical with the actual result. Photo from Spiegel International. The FDP, which strongly supports human rights, civil liberties, and internationalism, has shifted from the centre to the centre-right over time. Since the 1980s, the party has firmly pushed economic liberalism, and has aligned itself closely to the promotion of free markets and privatisation. And here's a summary of its electoral performance, from its best-ever 2009 achievement to its worst result yesterday. Data from wiki. It will be a big soul searching for the FDP and the European liberals. Should they push for more explicit free market policies? A Filipino friend and fellow IAF alumni in Gummersbach, Kareen Oloroso, mentioned last night that many Germans were angry at the liberal /FDP Foreign Minister's plan to cut German foreign aid. I agree with Arno's analysis above. Liberalism as a philosophy to advance individual freedom and limit the State's coercive power has not lost its value. German liberals in the government made something wrong that turned off many of their supporters. Meanwhile, a surprising performance by the Alternative for Germany (AfD), an anti-Euro, back to Deutschhmark, other protest party. Formed only in February this year, they got 4.9% of the votes. It is possible that many previous votes for the FDP went to AfD. 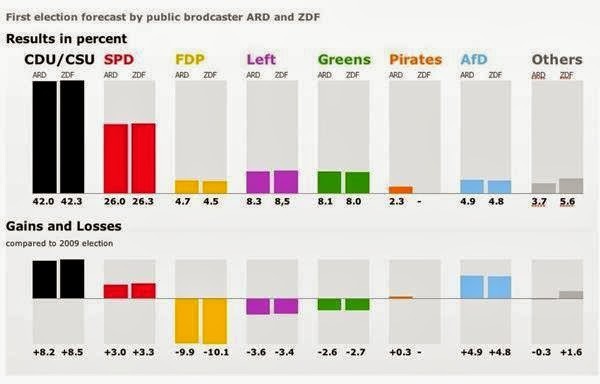 A bitter election result for the German liberals. Yet if the party gives itself a couple of weeks to mourn, and doesn't engage in pointless wars-on-a-square-millimeter or in I-told-you-so intellectualism, there is plenty of modern liberal thinking power, competence and commitment to bounce back convincingly. Simply pull up your sleeves and get going. That will be so good for Germany and for international liberalism. Time to go to work. Time to make it better. Time to stand for freedom, for equal opportunities, for tolerance, for rule of law, against corruption, for property rights, for personal responsibility and markets that are open to everyone. Time to prove that these core values will create a better society, are standing for development and better living conditions and secure what we achieve. We just got a public demand note to get rid of much dead weight. So let's do it and move on. Time to go to work. Towing "illegally parked" cars, motorcycles and other vehicles, impound them to a certain area and release them after payment of penalty -- I think P500 or P1,000 for motorcycles and P1,500 for cars -- is among the revenue sources of certain local government units (LGUs) as being done by almost all cities in Metro Manila. 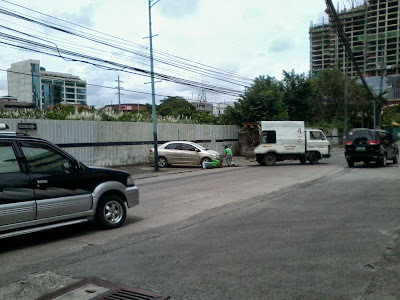 Last Friday afternoon, around 3:25pm at the back of Skyland Tower, in front of Tiara Oriental Hotel, Malugay St., Makati, a man briefly left his motorcycle here to buy fishball or what. I don't think it was "illegally parked" as there were two other vehicles on that side of the building that was parked, but their drivers were inside. 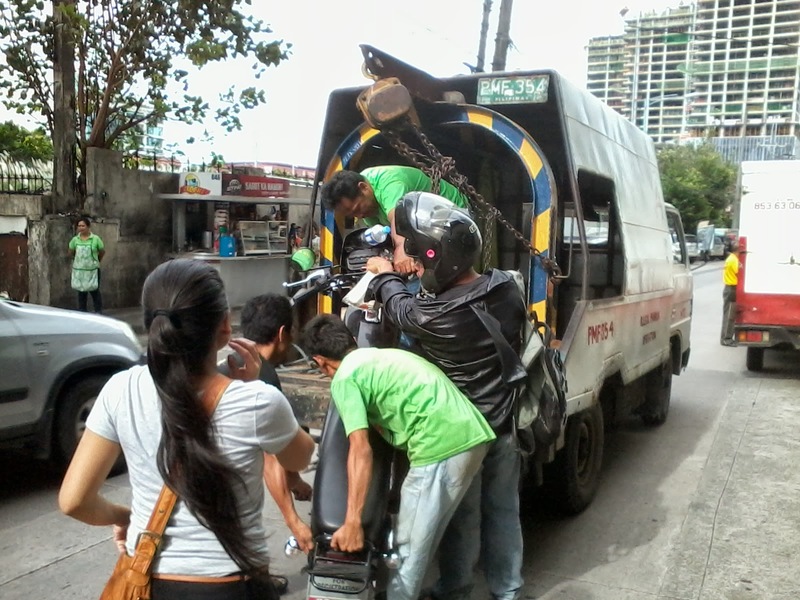 Then a towing truck by the Makati City government came and three men immediately carried the motrcycle. The motorcycle driver or owner who was just a few meters away ran to protest and pulled his motorcycle down. It caused a minor commotion as the three men insisted on impounding the motorcycle while the owner/driver was pulling it down. The motorcycle driver's woman companion was also there and pleaded to the three men to release the motorcycle. The bigger man, standing on the truck, was angry that he nearly got bruises in the tug of war over the motorcycle. Here's the short video that I took. 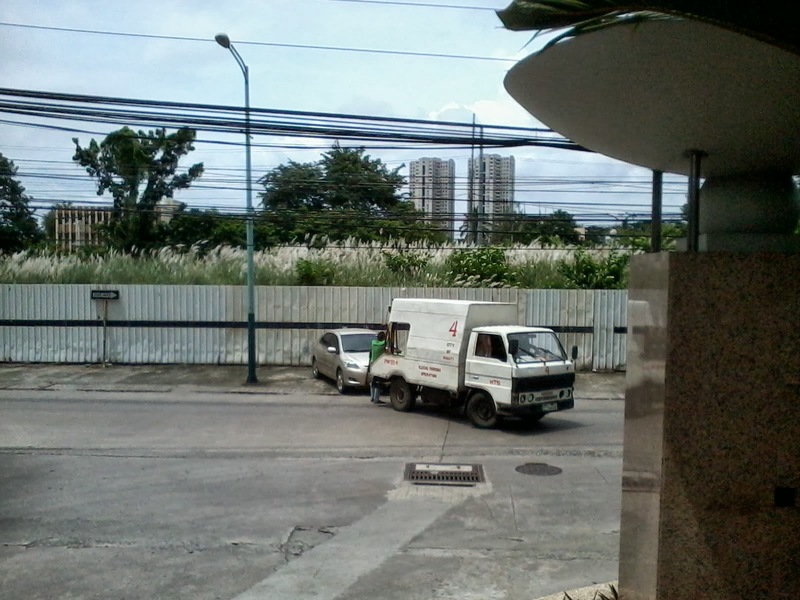 I did not get the name of the MAPSA officer who ordered taking the motorcycle. That big man in green later shouted at me and asked why I was taking the video. 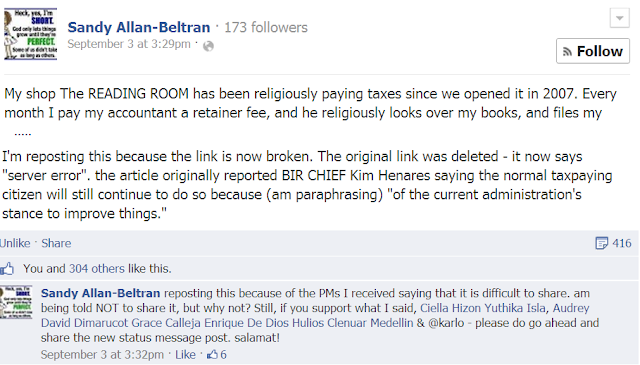 Not wanting to argue with goons like him, I said "Pang report ko po sa Rotary". He demanded, "Anong Rotary?" I said "Si Mayor Binay, Rotarian yon". "Sinong Major Binay?" was his angry reply. I repeated, "Si Mayor Binay!" and he kept silent. The smaller and thin man was insistent on taking the motorcycle. How much do they earn, their commission, for each impounded vehicle and motorcycle? I see greed in their faces often. 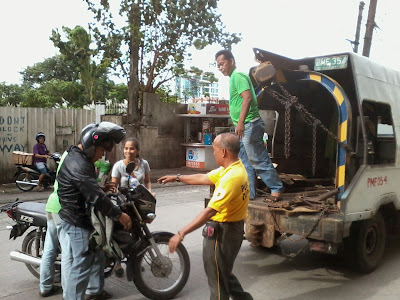 The woman was able to persuade the MAPSA officer to let go of their motorcycle. Maybe he was ashamed that many people were looking at him and the commotion that his team has created. And a day before that, last Thursday, around 12:40pm, same area, at the back of Axa building in Malugay St., this car was being towed, possibly by the same truck. It's a vacant lot, no traffic congestion, no sign of "No Parking", only "One Way" sign is posted there. Woe unto the owner of those cars that are towed. The hand brake would normally loosen if not damaged. Also a brief emotional anguish on the car owner not finding his/her car on the slot it was parked, thinking that it was carnapped and stolen by some criminals. Very often, chaos in society is government-created, national or local government. In most discussions about universal health care (UHC) in the Philippines and abroad, focus is on having health equality among people, to be provided by the government. While it is a noble goal, I think it is an unrealistic one and will result only in more public disappointment, even public anger. There is transportation inequality, some drive a sports car, others drive an ordinary sedan, others drive a motorcycle while others do not even have a bicycle. There is education inequality, housing inequality, food inequality, labor inequality, businessmen inequality, and so on. Inequality is everywhere, here and abroad, and most people can live with an unequal world, so long as their right to life (against murderers, abductors, etc. ), right to private property (against thieves, destroyers of property) and other basic freedom are protected. Health equality or near equality will never happen. For one, people have different abilities, priorities and ambitions in life. Second, people have unequal health input into their own body and family. Some prioritize alcohol or tobacco or junk foods over vegetables and other healthy food. Some prefer to live in dirty surroundings (with rats, mosquitoes, other pests) just to be near something that is important to them, like near workplaces. If people look up to government as the implementer of health equality, they will be in for a big disappointment. As I posted in my previous blog posts, when I was working at the House of Representatives (1991-1999), we have three forms of health insurance: (a) Medical and dental clinic inside with a phalanx of full time doctors, nurses and dentists, with free medicines; (b) HMO coverage (Intellicare that time, I don’t know now) that conducts annual medical check up, can cover both outpatient and hospitalization expenses, and (c) PhilHealth membership and contribution. I am sure this multiple health insurance is done also at the Senate, SC, BSP, Malacanang, DND, DepEd and many other departments and govt corporations. Also in big LGUs like provincial capitols and big city halls. Many poor people especially in rural areas do not have even one of these. They may have access to a rural health unit but there are no full time doctors there, no free medicines. There is no state monopoly. So you can choose an insurance group which is connected to your line of work. Or you could go with a trade union-run insurance co-operative. Or a private, commercial company. That means there is some competition among these companies to provide the best possible service for the lowest possible price. Then these companies, in turn, have some choice over which doctors and hospitals they commission to work for them. So again, the doctors and hospitals have to compete to offer the best facilities and treatment at the lowest possible cost. Poorer people get credits which enable them, too, to choose insurance. There should be competition among different healthcare providers, not monopolization by the national or central government. Where there is competition, people have choices, HC providers are under pressure to provide value for money. In a nationalized, monopolized and politicized structure like PhilHealth, they exaggerate enrollment but cover as few as possible, or for those covered, to pay as little as possible. There should be surplus somewhere to cover political patronage elsewhere. Thus, If we wish to have real UHC, there should be more competition, not more consolidation and monopolization. We are actually moving at the wrong track. PhilHealth held a national public consultation on the draft Implementing Rules and Regulations (IRR) of the new PhilHealth law last September 06, 2013 at Crowne Plaza Hotel, Ortigas. I attended it. The IRR proposes to raise the mandatory monthly contribution from 2.5 to 5.0% of the monthly basic pay of those in the formal sector, 2.5% contribution each from employers and employees. This hike in mandatory salary deduction causes anxiety to many workers and employers. Then there are plans to hike also the mandatory SSS monthly premium or contribution, possibly in PagIBIG too. On top of regular hikes in the minimum wage. Government is making hiring of people in the formal sector become more expensive. If it is expensive to hire workers, less hiring of workers will happen. Instead of hiring 10 workers, companies will hire only 2 or 3 multi-skills people, give them gadgets and pay them 2x or 3x the min wage. The other 7 or 8 people, they can try their luck elsewhere. Or be employed in the informal sector with no min wage, no SSS, PhilHealth, etc. I respect Doc Quasi and the rest of the UHC Study Group (Docs Domingo, Paterno, etc.). But their advocacy of health equality and centralized, monopolized HC provision will never happen. 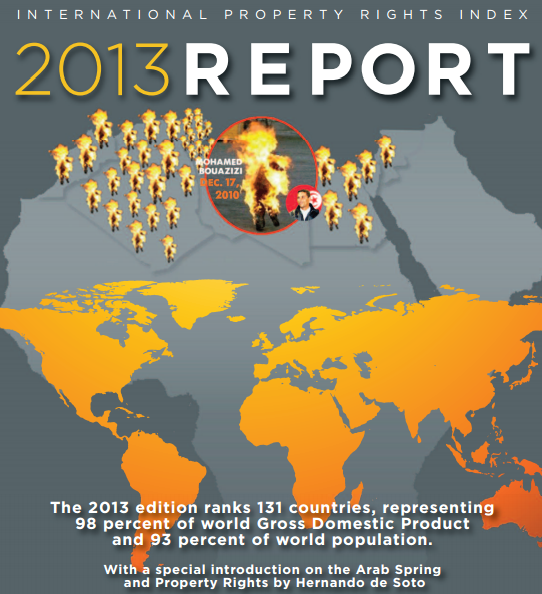 The International Property Rights Index (IPRI) 2013 Report was released last week. 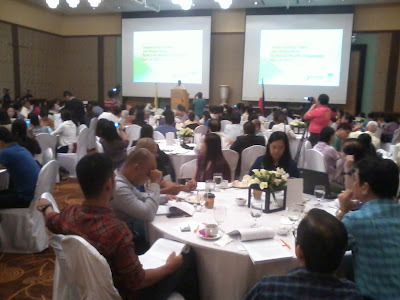 Our think tank here in Manila, Minimal Government Thinkers, Inc. is the Philippine partner of the Property Rights Alliance (PRA, USA) in producing the annual IPRI. There are many annual studies and reports measuring economic freedom, economic competitiveness and related concepts of countries, and ranking them. 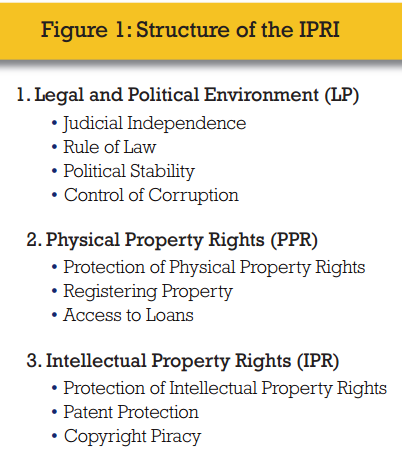 IPRI incorporates many of those factors and indicators, but it is focused on studying property rights and their protection worldwide. IPRI is composed of three main indicators, which themselves have their own sub-indicators. And this makes the IPRI unique and useful. For many governments that are stuck in the welfarist and central planning philosophy, they are characterized by soft or implicit disrespect, or less protection of private property rights. Since private property is among the cornerstones of a free society, disrespect of property rights is the path to socialism and dictatorship. 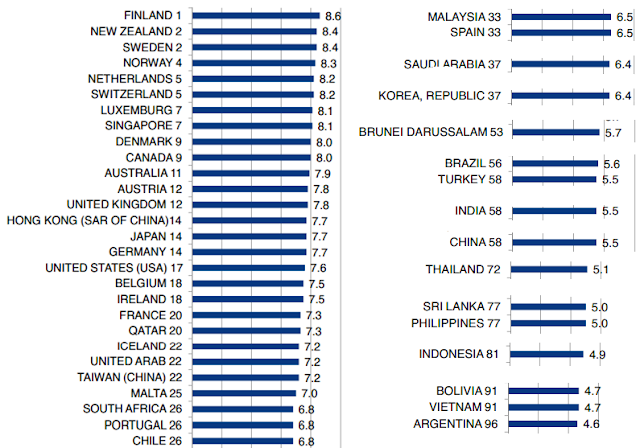 Here is the result of the 2013 IPRI, the ranking of 131 countries covered by the study. I separated the East and Southeast Asian economies for easier identification. 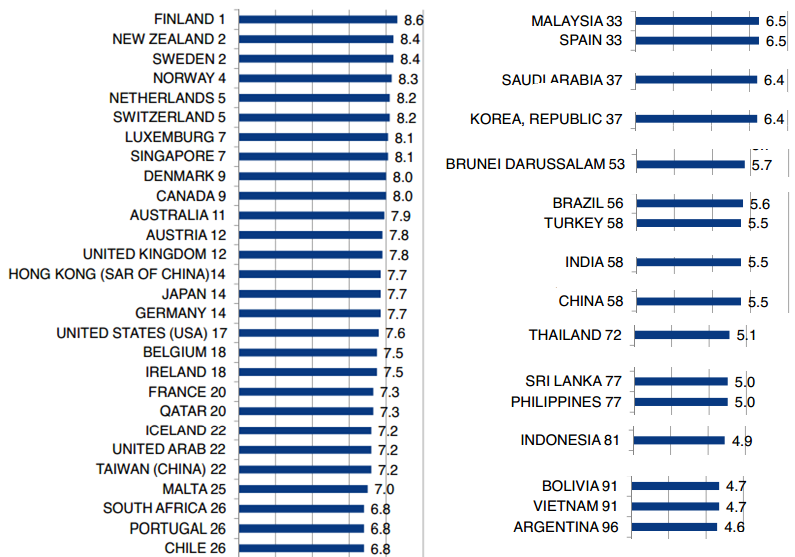 The Philippines ranked 77 out of 131 countries covered by the study. Not good for us. And here's the score for the three components of IPRI by country. The Philippines scored poor in legal and political environment (LP), pulling the overall IPRI score. ... there is a positive relationship between economic development and strength of property rights regimes. In addition,this finding is also confirmed when looking closer to specific groups, such as different regions or different average household income groups. Kudos to PRA for persistently producing this annual report. * This article was published twice. 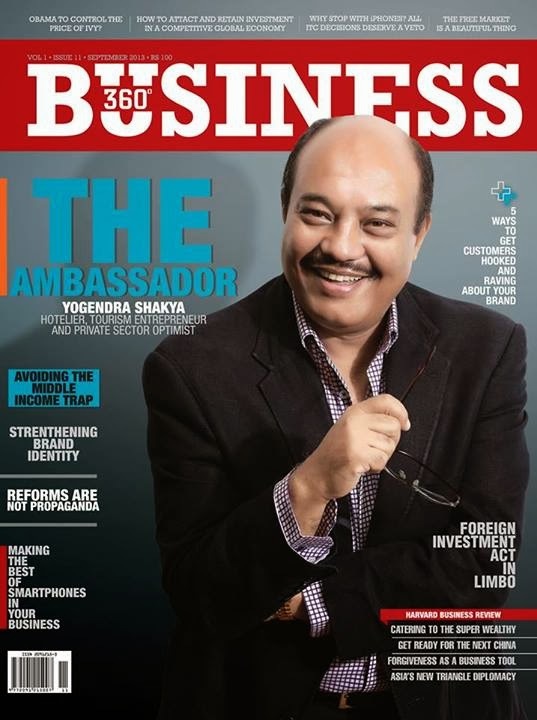 First in Business 360 magazine in Kathmandu, Nepal, September 2013 issue; then in the Economic Freedom Network (EFN) Asia website today. Many Asian economies are now among the “engine of growth” for some countries within and outside the continent due to their huge contribution to international trade as big exporters/producers and big importers/consumers, as well as big recipients of foreign remittances. Such opportunity has allowed many Asian economies to move from low income to middle-income levels, and for the lucky and more technologically advance ones like the four “tiger economies” of Hong Kong, Singapore, Taiwan and S. Korea, to move from middle- to high-income countries. “Middle income” is defined as having a per capita GDP income based on purchasing power parity (PPP) of $3,000 to $20,000, or $16,000 for other definitions. 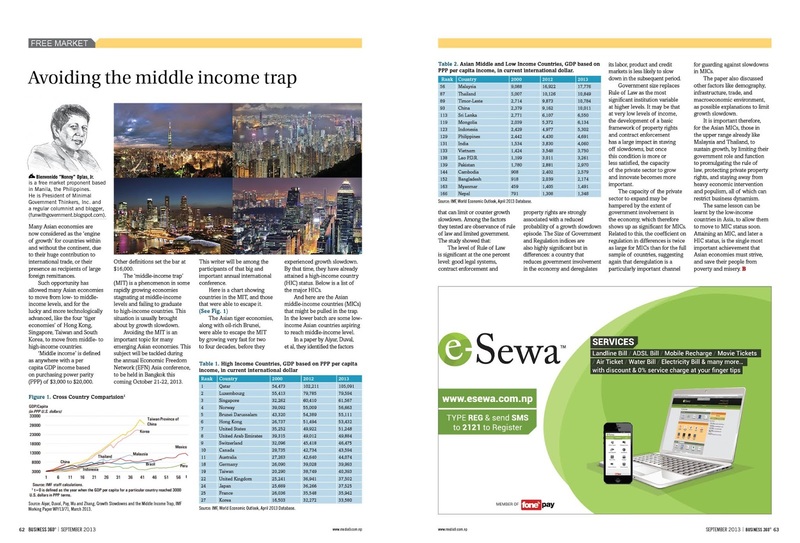 “Middle-income trap” (MIT) is the phenomenon of some rapidly growing economies stagnating at middle-income levels and failing to graduate into high-income countries. This is brought about by growth slowdown after sometime. Avoiding the MIT is an important topic for many Asian emerging economies. 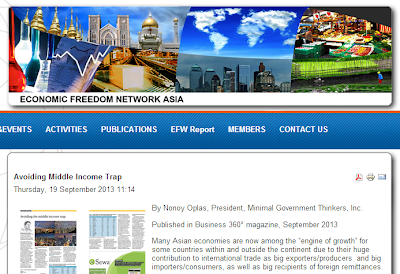 This subject will be tackled during the annual Economic Freedom Network (EFN) Asia conference to be held in Bangkok this coming October 21-22, 2013. This writer will be among the participants of that big and important annual international conference. Here is a chart showing countries in the MIT and those that were able to escape it. Source: Aiyar, Duval, Puy, Wu and Zhang, Growth Slowdowns and the Middle Income Trap, IMF Working Paper WP/13/71, March 2013. 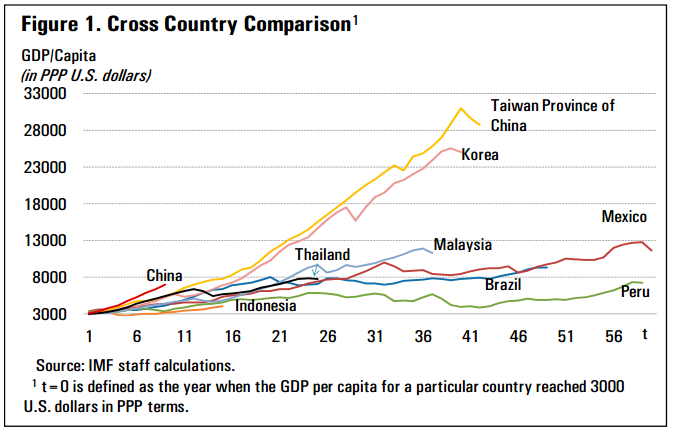 The Asian tiger economiesHong Kong, Singapore, Taiwan and S. Korea, plus oil-rich country Brunei, are able to escape the MIT by growing very fast for two to four decades, before they experienced growth slowdown. By that time, they have already attained the high income country (HIC) status. Below is a list of the major HICs. Source: IMF, World Economic Outlook, April 2013 Database. And here are the Asian middle-income countries (MICs) which might be pulled in the trap. 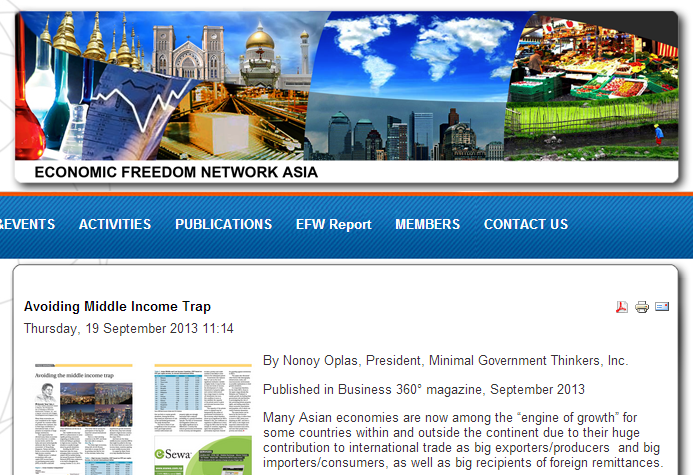 In the lower batch are some low-income Asian countries aspiring to reach middle income level. The level of Rule of Law is significant at the 1 percent level: good legal systems, contract enforcement and property rights are strongly associated with a reduced probability of a growth slowdown episode. The Size of Government and Regulation indices are also highly significant but in differences: a country that reduces government involvement in the economy and deregulates its labor, product and credit markets is less likely to slow down in the subsequent period…. Government Size replaces the Rule of Law as the most significant institution variable in levels. It may be that at very low levels of income, the development of a basic framework of property rights and contract enforcement has a large impact in staving off slowdowns, but once this condition is more or less satisfied the capacity of the private sector to grow and innovate becomes relatively more important. The capacity of the private sector to expand may be hampered by the extent of government involvement in the economy, which therefore shows up as significant for MICs (middle income countries). Related to this, the coefficient on Regulation in differences is twice as large for MICs than for the full sample of countries, suggesting again that deregulation is a particularly important channel for guarding against slowdowns in MICs. The paper also discussed other factors like demography, infrastructure, trade, and macroeconomic environment, as possible explanations to limit growth slowdown. 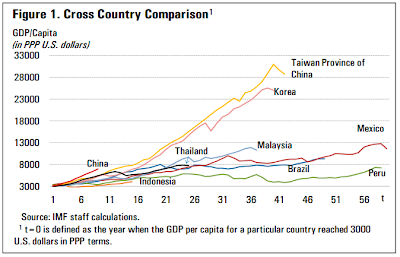 It is important therefore, for the Asian MICs, those in the upper range already like Malaysia and Thailand, to sustain growth, by limiting their government role and function to promulgating the rule of law, to protect private property rights, and stay away from heavy economic intervention and populism that can restrict business dynamism. The same lesson can be applied by the low-income countries in Asia to allow them to move to MIC status soon. Attaining an MIC, and later a HIC status, is the single most important achievement that Asian economies must strive, and save their people from poverty and misery. PWD Discount 1: Who are Persons with Disability?